The U.K. police may soon be able to remotely disable mobile phones even if the owners did not commit a crime through a new legislation that was recently passed. The Digital Economy Act, which was passed into law in late April, contains a provision that enables police officers to place restrictions on certain handsets that are suspected to being used by drug dealers. A spokesperson for the National Crime Agency confirmed the agency would be able to use the provisions in the newly passed legislation. However, the Home Office in the U.K. confirmed that the police has not attained the powers yet. “The introduction of powers included within Acts are often staggered and further details will be developed by the next Government,” the Home Office was quoted in saying in Independent.co.uk. As part of the process, the next Secretary of State needs to make certain regulations, which will then require approval from both Houses of Parliament, before officers start disabling hand devices. According to the Digital Economy Act, police officers would not be able to directly disable the handsets. Under the law, only the Director General or Deputy Director General of the National Crime Agency, or a police officer of the rank of superintendent or above, will have to file for a court order that will then be submitted to a telecommunications provider. The federal government is seeking to identify and monitor “deal-lines” used by gangs to remotely sells drugs in rural areas. These gangs are known to exploit children and vulnerable people as couriers using “specific” mobile phone numbers, the federal government noted. “Regulations may make provision conferring power on a court to make a drug dealing telecommunications restriction order. Drug dealing telecommunications restriction order means an order requiring a communications provider to take whatever action the order specifies for the purpose of preventing or restricting the use of communication devices in connection with drug dealing offences,” according to the law’s provisions. In addition, the recently passed law added that police officers may target mobile device users who commit a drug dealing offense and users helping other people to carry out drug dealing offense. According to the Home Office, these pointers were designed to specifically target deal lines. However, such a move will spur widespread concern among handset users that place a high value on privacy. The Home Office noted that the currently passed legislation may be interpreted as giving the police force the ability to preempt criminal behavior. 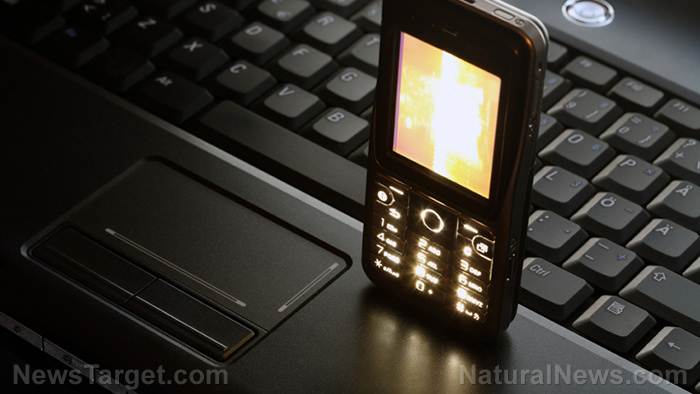 Recent amendments in the legislation revealed that some orders to disable mobile phones could last indefinitely. The law may also be used against people who did not commit a crime, or those who are not drug dealers themselves. As expected, privacy groups expressed concerns over the provisions of the legislation. “It is hard to argue that this pre-crime intrusion into individual liberty is necessary and proportionate when it can be authorized ‘whether or not an offence is committed. This is an entirely unprecedented and potentially draconian power allowing police to prevent the use of phones or other communications devices, whether or not an offence is committed,” said Myles Jackman, Legal Director for the Open Rights Group. In a related setting, authorities were able to gain access to Westminster attacker Khalid Masood’s last WhatsApp message. The message was protected by an end-to-end encryption. Security agencies touted that they have the technical expertise to crack down the message. However they declined to provide details on how they did so. This suggests that authorities may be able to repeat the same process and access stored messages in other devices.